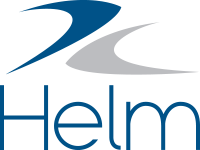 Helm CONNECT automatically sends email notifications to designated people when specific activities occur. NoteTo receive email notifications for Helm CONNECT, you must be an active employee and have a valid email address in the system. For any notifications that contain a link to more information, you must also be able to log in to Helm CONNECT. The list below describes the email notifications for Helm CONNECT Maintenance. When tasks for an asset are assigned to shore. When high priority tasks are created for one of an asset's critical systems. When low or medium priority tasks for one of an asset's critical systems are changed to high priority. When high priority tasks for one of an asset's critical systems are updated or finished. When they're assigned tasks, regardless of whether the tasks were created manually or they come from failed checklist items. When they're assigned inspection checklists. When they're assigned maintenance checklists. Responsible parties for an inventory template receive notifications when inventory checklists based on that template generate a requisition. Responsible parties for a requisition template receive notifications when requisitions based on that template are submitted. Responsible parties for an individual requisition (not based on a template) receive a notification when that requisition is submitted. The list below describes the email notifications for Helm CONNECT Compliance. When forms with a shore approval section are finished and submitted for shore approval. When forms without a shore approval section are finished and recorded in history. When each asset computer first receives an original document. When each asset computer receives new versions of a document. Responsible parties for audits receive notifications when the audits are closed and ready for review. Individuals receive notifications when corrective actions they created are finished and awaiting their approval. Individuals receive notifications when they're assigned a corrective action. When certifications reach any of their lead time milestones. For example, if a certification has lead times of 30 and 60 days, responsible parties receive notifications when it's 60 days from expiring and again when it's 30 days from expiring. When certifications are submitted or renewed with expiry dates past one or more of their lead time milestones. For example, if a certification has lead times of 30, 60, and 90 days, and it's submitted or renewed with an expiry date only 47 days from today, responsible parties will immediately receive a notification that the certification is 47 days from expiring, because it's already past both its 60 and 90-day milestones. Responsible parties will receive another notification when the certification is 30 days from expiring. The list below describes the email notifications for Helm CONNECT Jobs. For contracts with expiry dates, account managers receive notifications when the contracts reach their expiry dates. For contracts with anniversary dates, account managers receive notifications when the contracts reach their anniversary dates. The list below describes the email notifications for Helm CONNECT Personnel. Responsible parties for an asset receive a notification when a crew change for that asset is published, unpublished, updated, or deleted. Individuals who are part of a crew change receive a notification when that crew change is published, unpublished, updated, or deleted. Individuals who are removed from a published crew change receive a notification when they're removed from that crew change, then will receive no further notifications about that crew change. Individuals who are added to an existing crew change receive a notification when they're added to that crew change, then will receive notifications when that crew change is published, unpublished, updated, or deleted. NoteYou can configure whether or not individuals receive crew change notifications on the Details sub tab under Management > People > People. You can also choose the notification format: email, text, or both. For more about crew change notifications, check out this article.